Also known as “1/6 sack”. This size is standard size shopping bag used by supermarkets. Handles of bag give this bag a “t-shirt” appearance. 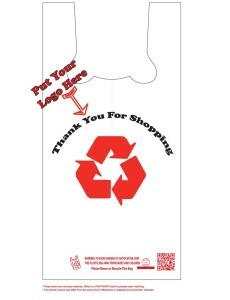 In addition, plastic bags are recyclable and have many common uses besides their original role of carrying groceries. Plastic shopping bags, carrier bags or plastic grocery bags are a type of Shopping Bags made from various kinds of plastic that are reusable. Sub-sandwich bags may not be reusable but there is another good use for them which is advertising your company name and are also biodegradable. 15 and 16 micron are recommended for light use only. 22 and 24 micron are recommended for extra-heavy use and are supremely strong and durable. The recommended size for supermarket plastic bags is 12 x 7 x 22 inches, which is the size that most supermarkets use. It is also known as 1/6 of a sack. Our bags are constructed with useful carrying handles, affording these recyclable plastic supermarket bags a ‘t-shirt’ appearance. They are lightweight and compact and come in cases of a minimum of 500. Our plastic supermarket bags are available in the following colors: white, red, green, yellow, purple, orange, black or blue and it is possible to have up to four colors printed onto them should you wish to have them customized with your logo. It is also a wonderful idea to have your store name printed onto your supermarket shopping bags and that is one of the reasons for purchasing from a reputable manufacturer. You are able to tell us what you want and we will go out of our way to furnish you with an end product that not only makes your store look good, but also shows off the quality of our wholesale supermarket plastic bags. Our plastic supermarket bags don’t stop working once you get them home either; they are then suitable for other uses due to their strength and durability. For example, they are super to use as trash bags in your small bins throughout the home, such as the ones you would have in your bedroom or bathroom. Why buy extra plastic bags to use as liners? Supermarket plastic bags are also useful for your children to slip into their school bag if they are going swimming; they can simply place their wet costume and towel into one of these and it will stop any moisture getting onto their school books and spoiling them. All in all, we are certain that you will discover a myriad of uses for these super-strong and super-durable recyclable plastic supermarket bags. Learn about our sub-sandwich bags that you can also use as a form of advertising.